I was send a copy of City of Ghosts by Victoria Schwab and I highly it. City of Ghosts draws the reader in immediately. There is nothing about this book that I didn't enjoy. Cassidy is a girl who happens to have a ghost best friend. Nothing wrong with that especially since said ghost saved her life. Cassidy can travel between two worlds by simply lifting the "veil" in between. What I found interesting was that Cassidy's parents have a paranormal business yet she doesn't feel comfortable sharing when things start going awry in her life like the fact that a ghost is trying to take her life or that Cassidy can travel between the world of the living and of the dead by lifting an invisible curtain. While Cassidy has spent time wondering why she has this "gift" she doesn't seem too bother by it until she meets a girl in Scotland while on location with her parents that she learns why she really has the gift. There is nothing in the book to scary for anyone over the age of 10 and everything even the ghost hunter scenes are kept light enough that kids will need to keep their lights on. Besides the wonderful story Victoria is an amazing writer who focus on the details and paints a beautiful picture that you can see while reading. I love her Harry Potter references and her wit! Please someone...make this a movie! 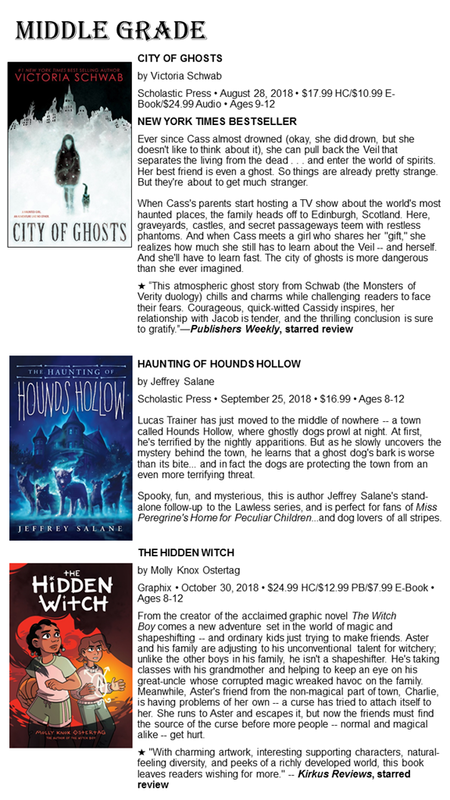 Disclaimer: I received a complimentary product from Scholastic for my honest opinion. No monetary compensation was offered.